Orion Ensemble | All That Jazz! This concert exemplifies the season's theme, Chamber Treasures Meet Chicago Jazz, beginning with the chamber treasure, Gabriel Fauré'sQuartet in C Minor, Op. 15, which demonstrates the charm and reason, the serene grandeur and the sincere humanity of Fauré's music. The first movement Allegro is full of lush modulations and a wealth of textures and colors. The second movement is playful and imaginative, the third is a harmonically rich binary song, and the finale is a fast but substantial classical sonata form. The program's world premiere commission by Chicago jazz musician Miguel de la Cerna, who also will perform with Orion, embodies Chicago Jazz by covering various eras of the genre. Describing the four-movement piece, entitled Livingston 8 - A Fantasy, de la Cerna said, "I decided to use the music of my life, growing up and living on the South Side of Chicago from 1960 until today. The piece is a jazz, blues, gospel, funk improvisation fantasy written for a traditional chamber ensemble." Miguel de la Cerna, a Hyde Park native, is a multifaceted pianist, conductor and music director. He is most known for his jazz arrangements for singers but is also accomplished in classical music and musical theatre. Miguel has performed at the Chicago Jazz Festival, and he received critical acclaim for his arrangements and direction of Dee Alexander's Tribute to Nina Simone and Dinah Washington at the Jay Pritzker Pavilion in Millennium Park. 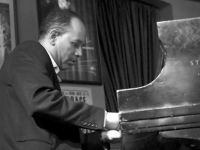 Miguel was featured pianist and arranger for the Eldee Young Quartet, which made extensive tours of Europe, Southeast Asia and the Middle East. Bridging these two pieces, chronologically and aesthetically, is George Gershwin's American classic Rhapsody in Blue, here arranged for clarinet and piano by Timofei Dokshitser. 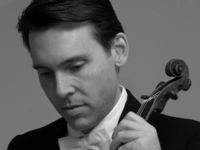 Guest violist Stephen Boe joins Orion for this set of concerts. Boe is on the violin faculty at the Music Institute of Chicago, and is an accomplished concertmaster, chamber player and soloist.